Balmeanach House is a sympathetically renovated Croft House, ideally situated for exploring the Island, whilst remote enough for a peaceful stay. Balmeanach House is a croft house that has been sympathetically renovated, keeping the character and charm of a traditional stone-built house, whilst providing a high standard of modern comfort. The garden is open bi-weekly under the Scottish Garden Scheme for charity and was created after fencing the existing croft land around the house. It now boasts three ponds and several seating areas perfect for sipping a glass of wine, reading a good book or just enjoying the peace and quiet. The township of Balmeanach abounds with wildlife - red deer, golden eagles, buzzards and otters, the latter have even visited the garden! 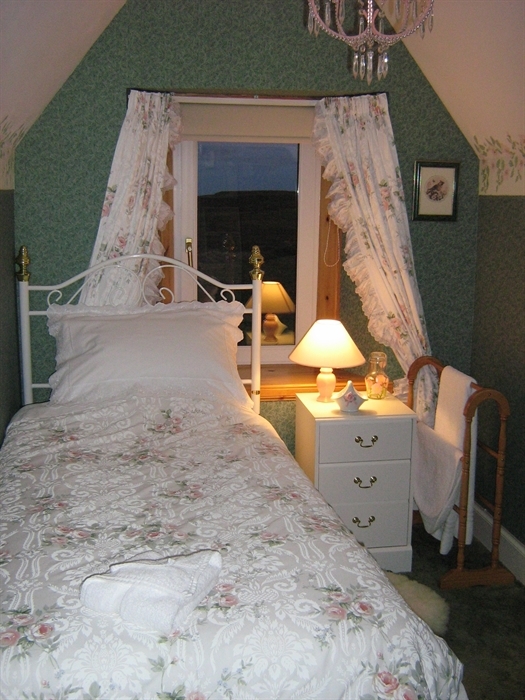 All our bedrooms have panoramic views of Loch Bracadale and the MacLeod Tables. 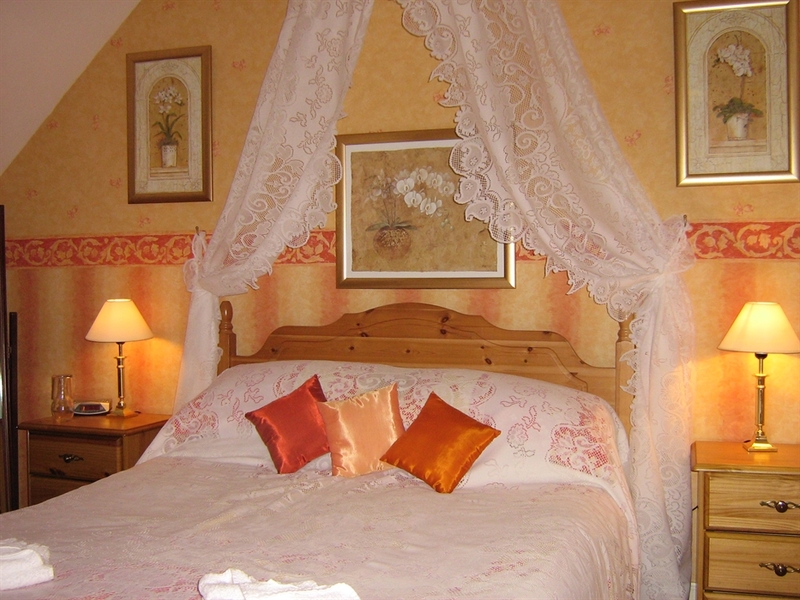 Each bedroom is fully equipped with a hospitality tray, hairdryer, electric blanket, remote control TV, DVD player and lots of little extras to make sure you have a memorable stay. 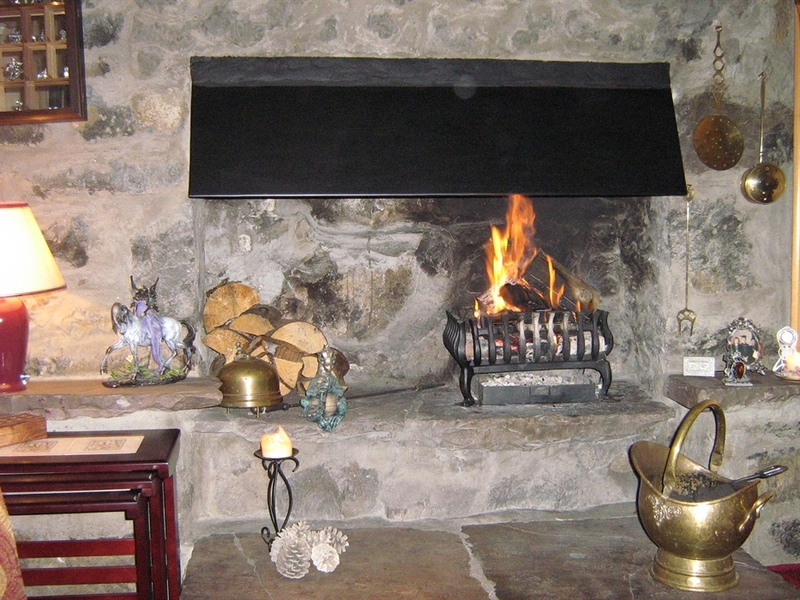 If you want to chill out after a day spent exploring, we have a comfortable, cosy lounge with a huge log fire for you to enjoy. Breakfast is a feat of local produce and offers a superb choice for the most discerning palate. Local smoked Salmon with scrambled eggs from local hens is a firm favourite and one guest, waxing lyrical about our Porridge, declared it to be the best ever'! With the traditional Full Scottish as an alternative to Kippers and smoked Haddock topped with a poached egg, your problem will be choosing. We pride ourselves on all the little extras we lay out to tempt you at breakfast time. We are ideally situated for exploring the Isle of Skye. 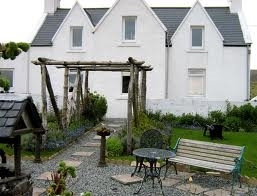 Dunvegan Castle is only 6 miles away and the world famous Three Chimneys Restaurant is 'our local'. Walking is - well, just outside the front door really. There are stunning waterfalls up the Glen. Horse riding is available nearby and we will happily lend you our bikes if you wish. We will also provide you with a book showing some of the best walks on the island and a map if you wish so that you don't lose us now you've found us!